Outdoor hardscape projects add resale value to a home and bring extra enjoyment to the homeowners who are living there, according to the Remodeling Impact Report: Outdoor Features by the National Association of Realtors (NAR) and the National Association of Landscape Professionals (NALP). Boosts Your Curb Appeal: Real estate agents suggest that a home’s first impression is paramount when preparing it for sale. Simple updates such as adding retaining-wall units or paving stone edging around gardens can add value and curb appeal. More ambitious projects like a front-paving stone entrance with a patio and one or two seat walls can add major curb appeal, plus there’s the enjoyment factor from adding a beautiful, functional front yard. Varying hardscape colors and textures in the front outdoor living space creates maximum visual appeal. Hardscapes can also make routine maintenance easier; for example, create a tree ring from retaining-wall units then surround it with pavers to reduce the need for trimming after mowing. Makes Unusable Space Usable: Retaining-wall systems like the VERSA-LOK Standard system can help retain the soil excavated from creating an outdoor living space. Prevents Erosion: Damage to your property can devalue a home plus create major headaches. 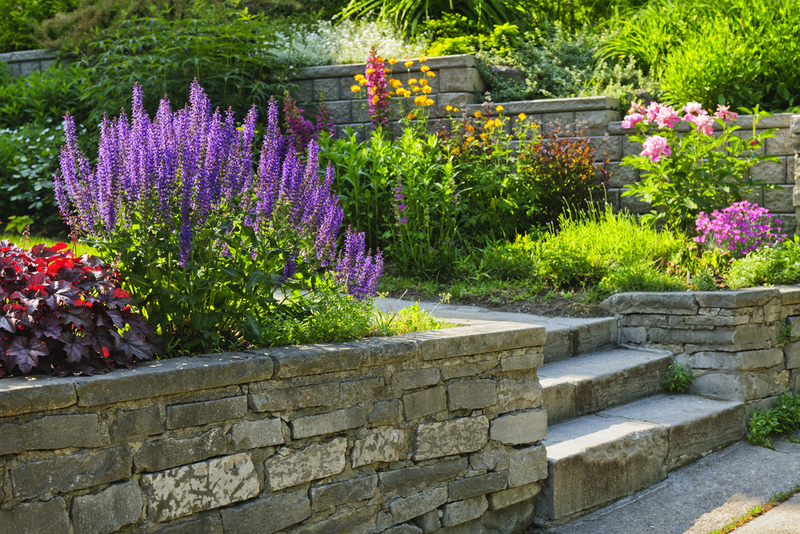 Retaining-wall systems are essential in preventing erosion, controlling grade changes in a yard, and preventing damage to the landscape and, in certain environments, even damage to your home. Provides Safety and Privacy: Seat walls can add a measure of privacy and protection against the elements, and energy-efficient landscape lighting can be installed along patios, paver walkways, and under retaining-wall caps for nighttime ambiance and functionality. Landscape professionals can suggest how adding these and other hardscape elements can increase value and offer measures of safety and privacy.